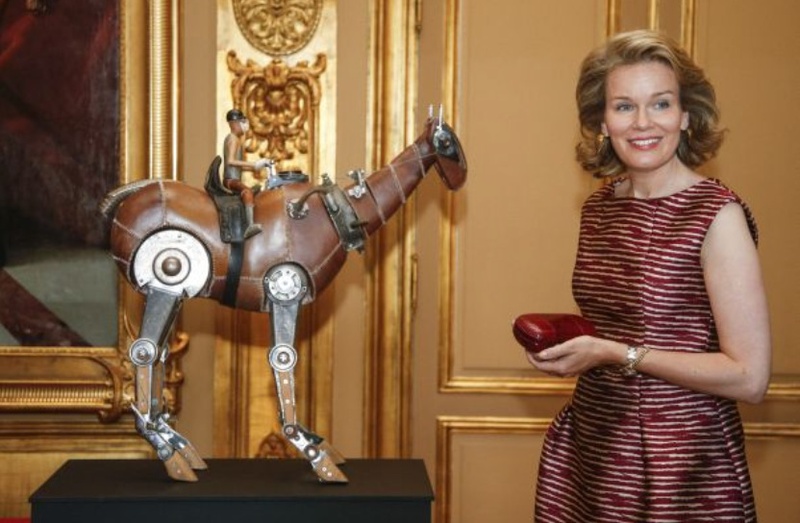 HM Queen Mathilde of Belgium Inaugurates an Exhibition. On Friday, July 17, 2015, Her Majesty Queen Mathilde of Belgium inaugurated the exhibition, @yourservice, at Palais d’Egmont in Brussels. Organized by the Belgian Foreign Affairs on the occasion of National Day the exhibition features works by various Belgian artists including Mr. Johan Muyle, Ms. Stéphane Halleux, and Mr. Michaël Aerts to name a few.